Students innovate, create with EEP, CSC senior Eric Larsen featured in a story about how the Engineering Entrepreneurship Program offers students an opportunity to develop and market their creations, The Technician, by Jessie Jeppsson, December 5, 2006. Feb 7 - Sun Microsystems University World Tour - 5:15 - 8:15 pm in Room 1025, EBII. Exciting event includes free software, free T-shirts, free pizza, and a drawing for a $100 Best Buy giftcard. Registration info (link). March 23 - RENCI NCSU Open House - 12:00 noon - 3:00 pm in the new Visualization and Analytics Center in Suite 1500 Partners I. Keynotes begin promptly at 1 pm. NVIDIA has provided Dr. Ben Watson an NVIDIA Professor Partnership Award valued at $25,000. The unrestricted cash award will be used to augment Watson's research on sparse change-focused imagery as detailed in his proposal "Fonts for Imagery". 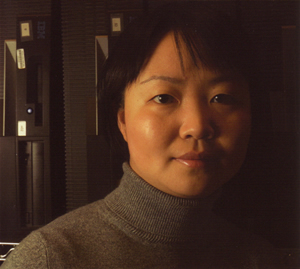 Rhee Technology Consulting has provided the department a $10,000 unrestricted gift to support research in the area of computer networks and multimedia computing. Super ePartner, Microsoft, has made a $5,000 donation to the department in support of our Senior Design Center. Walter & Sarah Heckman have made a generous $1,000 personal pledge to the Joyce Hatch Scholarship Endowment. To date, 59 donors have contributed almost $22,000 and pledged almost $39,000 to this fund. With mixed emotions, we report that two members of our faculty have made career moves this month. Dr. Jaewoo Kang, assistant professor of computer science, has resigned to accept a joint appointment in the Korea University Computer Science Department and its Medical School. Dr. Jun Xu, also an assistant professor, has accepted a permanent role with Google where he has been working for the past year while on leave of absence from the department. While their departures are a great loss for us, we wish them great success in their new jobs. Alumni & Friends Invited to "Meet-the-Dean"
Students, Faculty, & Developers: Come by Room 1025 in EBII on Wednesday, February, 7th from 5:15-8:15 pm, and learn what's cool in the latest Java and Solaris technologies from the experts at Sun Microsystems! This free and exciting event features topics like "The Information Age: The Next 10 Years", "Unleash the Power of Java! ", and "Connect Everything: Employment Opportunities at Sun and More". During the event, Sun will provide free software, free T-shirts, free pizza, and a drawing for a $100 Best Buy gift card. RSVP today and get more information about the event at http://blogs.sun.com/sunatncsu/.